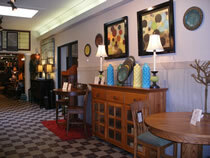 When you start looking for furniture stores in Columbus, Ohio you may be surprised at what you find. The reason for this is what you will find as your number one choice is actually Amish Originals Furniture Co. located in Westerville, Ohio. Having been in business for 20 years, we tend to come up as the most popular in a search from anywhere around the Northern Ohio region. If you have never shopped for Amish furniture before, you may be amazed at what you find. By working with more than 70 families in the Amish communities around the Northeast Ohio area, we are able to offer a variety like no other furniture store. So when your search for furniture stores in Columbus, Ohio brings our name up, we look forward to meeting you in person. But shoppers end up finding these are often false promises. When you shop at Amish Originals Furniture Co., you will see we really do deliver on the promises we make. We take the business of Amish furniture seriously, especially when it comes to great customer service. All of our shoppers are unique. Some come looking for a single item, while others need to furnish an entire home. Some shoppers need kids furniture while others are looking for seating for the great outdoors. And when it comes to taste and style, each person is unique. For that reason we are proud to be able to offer furniture pieces that are as unique as our customers. Very few other furniture stores in Columbus, Ohio can say the same thing. This is because the furniture selection and delivery process is unlike any other. First, shop for the pieces you want for your home. Next choose the American hardwood you like the best for your pieces. Choose details even down to the finish. Finally have your pieces hand built for your custom order. This means that your pieces truly are handmade, one-of-a-kind items. It also means you are not just buying furniture, you are investing in quality hand built family heirlooms that are certain to be passed down from generation to generation. The details in handmade Amish pieces are unlike any other. Without the use of anything but their own tools, even the dovetailing is done from techniques passed down through generations of the same family. You can feel better about shopping with us and being green. There is no waste from the furniture building process and even the way the furniture is transported is more environmentally friendly than other furniture stores in Columbus Ohio. There’s plenty more, so come see for yourself why we are number one.